Open a box of Quaker Baked Flats and discover a treasure trove of taste. 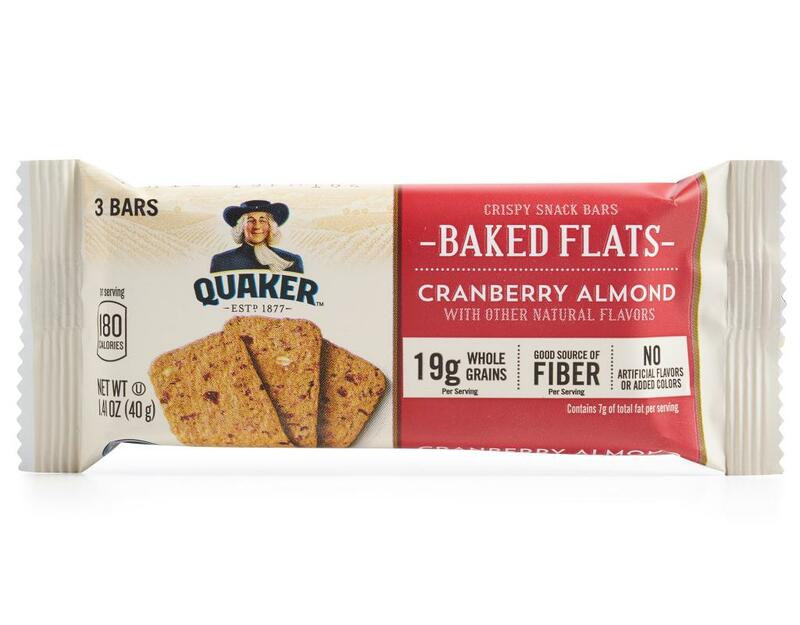 With real fruit, crunchy nuts and 18g of whole grains—all at less than 200 calories—it’s a great snack to help satisfy your morning hunger, wherever the day takes you. 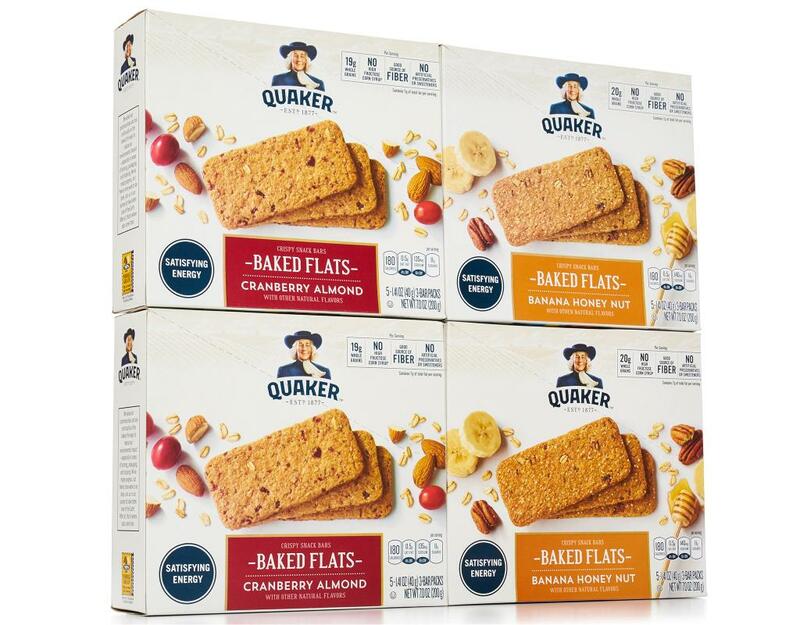 Try pairing it with coffee and yogurt for a marvelous morning. 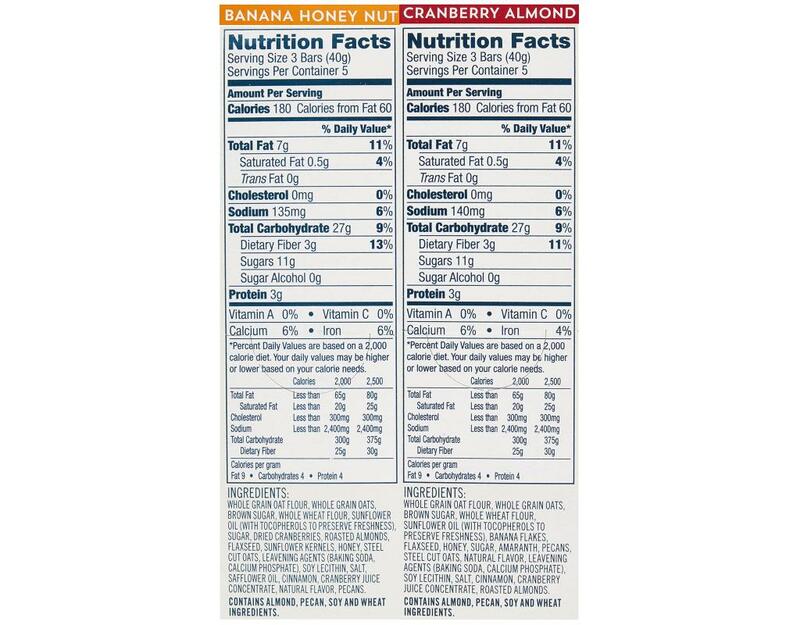 2 x Cranberry Almond - We think cranberries are too delicious to be saved for Thanksgiving, which is why we love them mixed with the crunchiest of almonds, flax and sunflower seeds and 18 grams of whole grains in our Cranberry Almond Breakfast Flats. 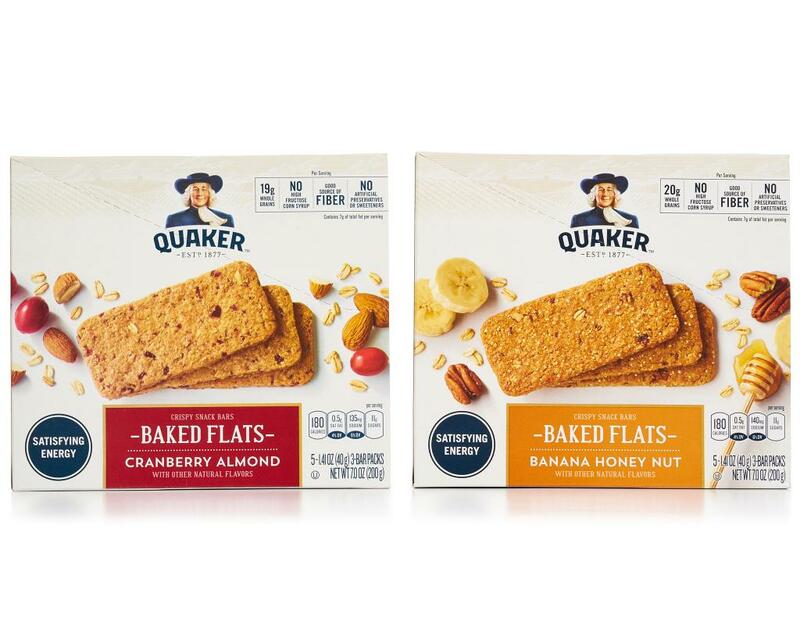 It’s the satisfying snack you’ll be thankful you tried. 2 x Banana Honey Nut - There are few pairings in this world that are more made-for-each-other than banana and honey. That rich, tropical touch of banana with just a drizzle of smooth honey is enough to make your taste buds swoon. 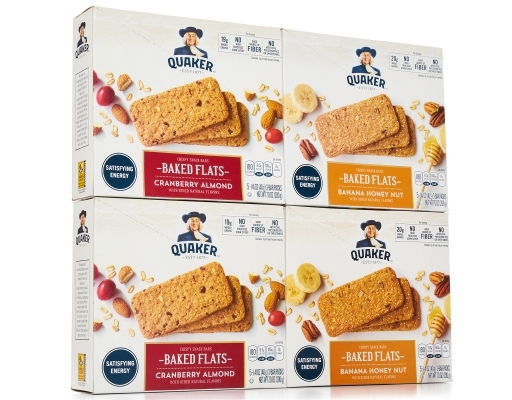 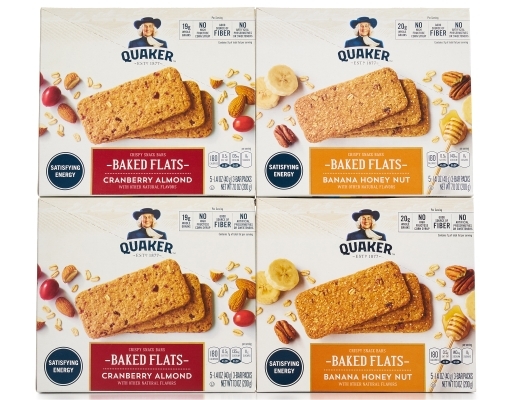 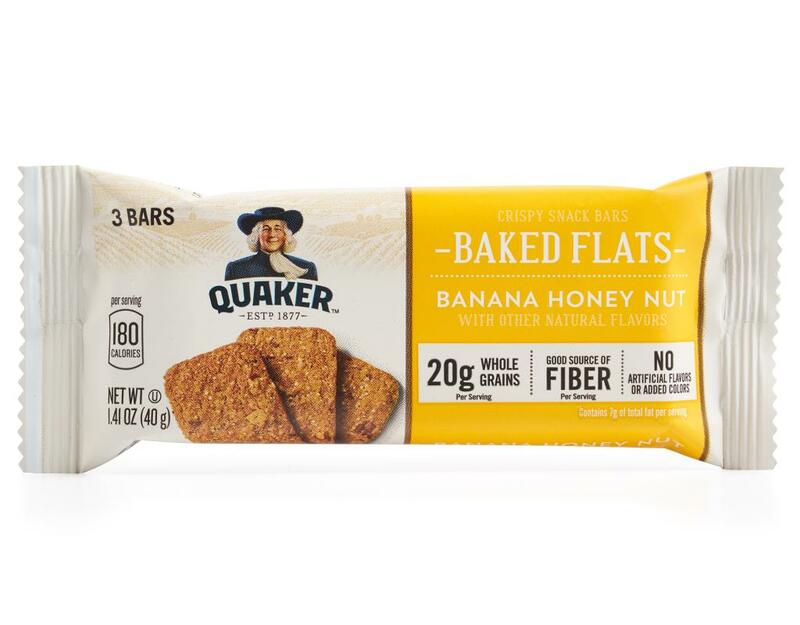 Add a hint of nuttiness, flax seeds and 18 grams of whole grains and you’ve got a snack made in heaven with Quaker's Banana Honey Nut Breakfast Flats. 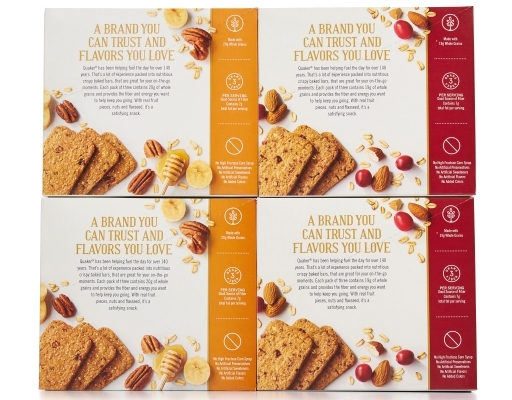 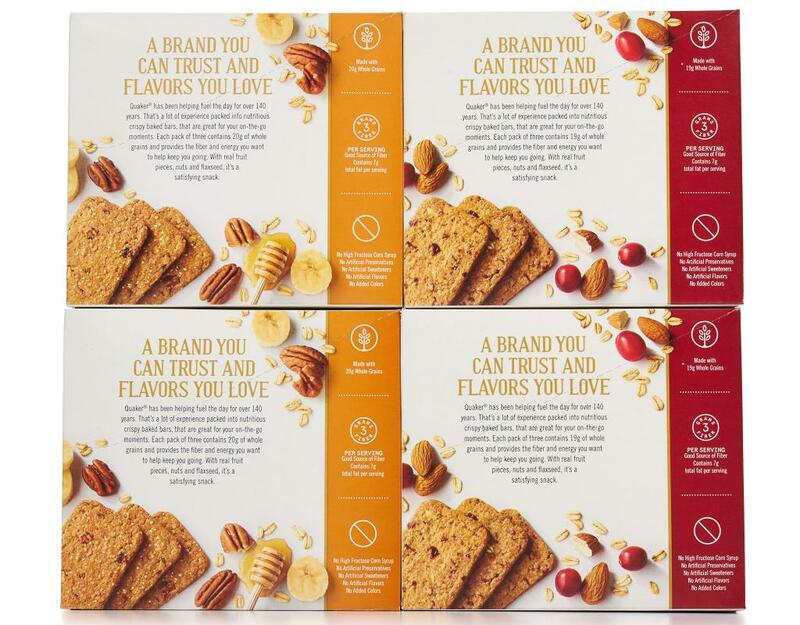 They’re a great hit-the-spot snack to help satisfy your hunger when you’re on the go.